The Member Spotlight gives you the opportunity to learn more about AFP-IC members. A member will be introduced regularly through the Member Spotlight. Tell us about your role in the fundraising field. There are two ways I work in this field. As Senior Consultant and Founder of Johnson, Grossnickle and Associates (JGA), my colleagues and I guide and encourage others in the field to do their best work in raising funds. We consult. And I am also a volunteer for organizations in whose causes I believe. In consulting, I help people think about what it is they want and need to accomplish and, if we get it right, we help them do it their own best way. At the same time, I try to do that same work as a volunteer, going to others and asking them to strongly support our shared cause. Doing (and experiencing) both roles is not only fun but thought provoking. How long have you been in fundraising? Since dinosaurs roamed the earth --- I first started as a volunteer in 1973 and as a development officer in 1976. Many years later, I co-founded JGA with Don Johnson in 1994. I entered fundraising because I loved the way that we as professionals could help make important things happen in our communities. An act of generosity can (and did) make things happen for people that would not have happened otherwise. That link between donor intent and progress, healing, learning, creating better lives has always been magical to me. Why are you involved with AFP-IC? I have been a member of AFP for many years. When I was Assistant to the President at Northern Illinois University and then as Vice President and Acting President at Franklin College, I found AFP very helpful. When Don Johnson and I co-founded JGA in 1994, I made sure to continue my membership and participation in AFP. It has always been a source of good people with wide experience and good collegiality. We all can (and should) learn from each other. Our local AFP chapter provides that easy way to come together, catch up and learn what others are doing. It's a big reason why we support important programs like the Kindelsperger Forum and the Spring Conference each year. Have you benefited from a relationship in AFP or AFP-IC? Yes, very much. In addition to personally benefiting from too many friends and colleagues to count in AFP, I think it's very important to note that from the perspective of a consultant, I see AFP as an important element in the way many persons learn and develop expertise in our field. So many of the team members of our clients participate in and grow as a result of AFP programs and relationships. What advice do you have for professionals considering AFP membership? Don't worry about going to the first meeting. When you show up, people will greet you, be friendly, and invite you into their conversation. And you're likely to learn something. It's worth it. Take the first step and join. Tell us a fun or random fact about you. I like sailing in warm months. "We cannot direct the wind, but we can adjust our sails." For the last four years I have been the owner and president of Rogowski Consulting, a fundraising consulting firm specializing in grants management and development department audits. About 90% of my work revolves around managing my clients' grant writing programs, including grant readiness and research, proposal development, post-award and program management, and compliance. Prior to starting my own business, I served in various development roles with The Damien Center, Girl Scouts of Central Indiana, and the Nashville Opera Association. I have been in fundraising for 16 years. I graduated from Butler University with degrees in flute performance and arts administration and immediately went into an internship with the Nashville Opera Association. Both my degrees and internships were arts focused, but my arts admin degree provided a good understanding of development and management. I gravitated towards fundraising and eventually became the opera's Director of Special Events. Following my time with the opera I moved into the social service realm and have been there every since, always with a focus on fundraising. As a young fundraiser i joined AFP for the chance to learn about aspects of the profession that weren't a part of my daily responsibilities. I knew that I wanted to advance in the field,and AFP provided me with the opportunity to better my own practices and connect with people who were experts. I attended all the educational opportunities that i could and always brought back new ideas that I could apply to my job. Now that I'm a little more seasoned, I love the opportunity to give back to the profession and serve as a mentor to fundraisers starting out. And of course I still learn things all the time! Absolutely! Aside from the educational benefits, which are substantial, AFP has provided me with a strong network of colleagues that are invaluable to me professionally. Since I own my own business and work primarily from home, staying connected can be a challenge. AFP keeps me engaged and learning all the time. Join! And even more than that - get involved. Attend the luncheons and brown bags, get involved with the mentorship program (either as a mentee or mentor), volunteer on a committee, and attend chapter social events. I pay for my own membership and workshops so i understand that there is an investment involved in becoming a member, but it's worth it. I love reading and do it constantly, especially sci-fi and fantasy novels. I'm also a very, very fast reader. My husband and kids call me the book ninja. Tells us about your role in the fundraising field. I have specialized in planned and major gifts for most of my career. This has been a wonderful way to serve charitable missions. And this field has encouraged life-long learning to always be familiar with the law, economy and gift planning techniques that are the most helpful for donors. I have also been honored to teach law of philanthropy and nonprofits for the IU Maurer School of Law and Lilly School of Philanthropy - as well as planned giving for the Fundraising School. I have been in fundraising for 28 years. How time flies! This has been an outstanding organization to learn about the latest developments and best practices in the fundraising profession. The programs have been consistently excellent. In addition, I have been able to establish wonderful friendships with amazing colleagues. Being able to discuss issues and challenges with colleagues can be so helpful! Absolutely! I have learned about the fundraising profession by attending many programs and receiving helpful publications. And I have been honored to know and work with many extraordinary colleagues who are also AFP-IC members! Join! You will not regret the opportunity to learn, serve and establish friendships. One of my bucket lists is to visit all the National Parks - and I am about two-thirds of the way! I am VP Operations for Back on My Feet and currently have responsibility for 10 of our 12 markets nation-wide. We currently operate a portolio mix of corporate, foundation grants and individual giving. My role is to help streamline our fundraising events so they can be effective fundraising opportunities and help to grow our operations to support a more robust individual giving program that is being developed in parallel by our VP Development. I started about 9 years ago and was thrown into it, like many of us! I was working at the Indiana State Museum heading up the membership program and I was asked to work on the year-end appeal. I thought through what would entice me to open the mailing and respond and it worked! We realized a 26% increase in first-time donors and 46% in donor upgrades. From there I was given ownership of the year-end appeal and started working in corporate sponsorships. I have received so much from my membership in AFP-IC and I see it as my way to give back to the profession. I enjoy networking with other like-minded professionals and working together to promote the profession of philanthropy. I have received more than I could imagine including close friends. Benefits are all around! It's so nice to have friends in the industry that I can bounce ideas off of when I need an ear to listen. I also have been able to utilize the AFP-IC network for introductions to others to continue to build my network. Join! I personally pay for my membership and programming that I attend. I see it as an investment in myself and my career! I've enjoyed participating in the mentoring program, my mentee and I have great conversations that help both of us learn. Although it seems forever ago, I completed Ironman Arizona in 2013. It was quite challenging balancing work, training and volunteer worrk, but the experience was worth it. For the last 2.5 years I have been the Director of Development for Stand for Children Indiana. We are a local affiliate of a national organization based in Portland, Oregon with a mission to ensure that all children, regardless of their background, graduate from high school prepared for and with access to a college education or career training. At Stand Indiana I am a one person shop with oversight in grant writing and reporting, advisory board management, stewardship, individual solicitation, research, cultivation and really working with our Executive Director to ensure that he has the tools he needs to go out and tell our story to donors and prospects. At the end of the day - my job is to make sure he is fully prepared for visits with individuals, corporations and foundations. I got my start in fundraising as a student at IU by participating in Dance Marathon - almost 20 years ago. After receivng my Masters from the Lilly Family School of Philanthropy, I spent most of my career in higher education - including time at my alma mater Indiana University. I also worked at the University of North Florida, Butler University, and the YMCA of Greater Indianapolis. Working as a lone-ranger of sorts in my current role, the AFP chapter provides me the opportunity to get out and meet with people who "get fundraising" and the opportunities and challenges we have in Indianapolis. The development community in Indianapolis is small and we all know or know of each other - AFP-IC helps me put names with faces. I also believe in professional development and take advantage of the many opportunities AFP-IC provides to grow in our field. When I first took my current role in January 2015, I had NO grant writing experience and with most of my experience being in higher education - where everyone has a specialty role - I was eager to figure out how i was going to "do it all". I immediately joined AFP and began to attend the lunches and meet other development directors in small shops so I could prioritize and learn from those who had walked in the shoes I was just trying on. There are many people who took coffee or lunch meetings with me - too many to name! Do it! I believe that all of our employers should pay for our AFP membership as it helps us be the best at our jobs. In fact, I negotiated my membership in AFP as part of the job offer in my current role because I wanted to make sure I still had that network of like-minded individuals to learn from and bounce ideas off of. My undergrad is in sports communications -- I am a HUGE football fan and wanted to broadcast football and work in sports until I participated in Dance Marathon at IU. My time at IU was amazing both inside and outside the classroom but the experience outside the classroom with IUDM really did change my life. I work as a major gifts officer for the Indiana University College of Arts and Sciences in Bloomington. I have been in my role for four and a half years. Before my work with Indiana University, I primarily worked as a fundraiser in small development shops in Indianapolis. I have been involved in fundraising for nearly 20 years. During my senior year of college, I was a student caller for my university's phone program. Little did I know at the time this would be my career of choice. Being a member of our field's professional society is important for all fundraisers. I appreciate that AFP is comprised of members in a variety of sectors and fundraising roles, since we have much to learn from each other. While there are unlimited options for education in today's technology-rich environment, what makes AFP unique is the continuing opportunity to build relationships with local colleagues. I appreciate the variety of face-to-face programs offered by AFP that provide a chance to interact personally with speakers and others in the field. I continue my membership to develop my leadership skills and to stay informed about emerging trends. I became involved with AFP while a fundraiser for a one-person development shop. When I had few people in my office to bounce ideas off of or learn from, I could count on AFP's Brown Bag group and the monthly luncheons to teach me new techniques and expand my knowledge. During that time, I had a fantastic mentor through the AFP mentorship program. She provided invaluable guidance for my daily work and my long-term career. Since that time I have been a mentor, I serve on the board, and now I serve as the Vice President for Programs for AFP-IC. Membership can be a significant investment of time and money, but the return is also significiant. If you are looking to make the most of your AFP membership, consider joining a committee. You can help shape the future and priorities of the chapter in this way. If you are newer to the field, I encourage you to take advantage of the mentoring program. Seasoned professionals can give back by serving as a mentor. Make the most of all of the opportunities provided to members of AFP. My parents did not know I was going to be born until three minutes in advance. My parents knew my twin sister was about to be born and they suspected there might have been a second baby, but they did not do ultrasounds regularly back then. The doctor was more surprised than my parents. As the Director of Development at Cooperative for Education (CoEd), I get to connect our amazing supporters with the opportunity to break the cycle of poverty in Guatemala through education. I also have the pleasure of managing a team of 10 fundraising and marketing staff, who are some of the smartest, most passionate people I know. I love my job! I've been in fundraising for 14 years. My first fundraising role was just one of many hats I wore as the Director of Operations at Interfaith Hospitality Network of Greater Cincinnati. Although development wasn't my main function, I happened to be the one to manage our annual fund mailings, communications to donors, volunteers, and grants. I decided to focus on fundraising full time when I took the job at CoEd as Development Manager. Nine years, a couple of promotions, and a CFRE later, here I am - still working towards our mission of breaking the cycle of poverty in Guatemala through education, and getting to see some really amazing things happening as a result. CoEd is based in Cincinnati and in Guatemala...not Indianapolis. I landed in Indy for my husband's promotion about six years ago, and have been a remote employee ever since, traveling to Cincinnati about once or twice a week. I was very familiar with the nonprofit landscape of Cincinnati and have physical co-workers there, but when I moved here, I knew little about Indianapolis nonprofits, and didn't know many of my local peers in fundraising. Joining AFP-IC became a way to connect with other fundraising professionals locally and begin to form relationships with people I now consider part of my brain trust. I initially joined in 2011 to get the discount on the international conference, which was in Chicago that year - the discount itself more than covered the cost of membership. Since then, I've taken advantage of the CFRE study group, the mentoring program, and I am a frequent attendee of the Brown Bags, which I love because of the intimate nature and the ability to engage in a smaller group discussion of the topic. Although academic courses are wonderful, fundraising is an art best honed over time and through experience. If you are working in a silo and relying on only your own experience, your growth will be slow-going. However, by joining AFP, there are so many opportunities to learn - at conferences, workshops and luncheons, through mentoring, and best of all, through informal conversations you have with other AFP members. I've had so many "lightbulb" moments when speaking casually with other fundraisers about a particular question I'm trying to figure out. This alone is worth the cost of membership! I studied Computer Science and Math as an undergrad, and while I don't know that I could get a program to compile on the first try anymore, this training in how to think and problem-solve has manifested itself in my daily life. I'm a productivity geek and am constantly trying to figure out ways to automate (or eliminate) repetitive tasks. One of my favorite parts of management is teaching my team to put better systems in place so that they can tackle their email and to-do lists for optimal productivity. Ultimately, that means better stewardship of our donors' contributions and even better communication with our key stakeholders. I serve as the Assistant Dean for Development at the IU Robert H. McKinney School of Law and oversee the development efforts of the law school. My primary focus is on securing major gifts to enable the law school to support students, promote faculty research and inquiry, and offer services and experiential learning opportunities to train legal professionals. We have an excellent staff in the law school's development program, and my colleagues and I are responsible for all aspects of the law school's fundraising program. The IU McKinney School of Law occupies a central role in Indianapolis, the state and the region. With more than 11,000 alumni, McKinney graduates are in leadership positions in law firms, government and the courts, business, and education and nonprofits. We are very proud of our alumni, and they are generous supporters and advocates for McKinney. Approximately 25 years. I came to fundraising after working in academic research administration in higher education. I had overseen faculty grants offices and worked with faculty to locate funders, connect with grantmaking organizations, and prepare and submit successful proposals. After time spent at home with my second child, I was hired as director of corporate and foundation relations at a private liberal arts college. This position was my first fundraising position, and I later became the director of development at the same institution. I moved from the college to working in community foundations and am now back in higher education. Why are you involved in AFP-IC? AFP is the premier professional organization for fundraisers. AFP is the international organization that represents the profession to fundraisers and external audiences. AFP has developed standards for the professional and ethical conduct of fundraisers, certification through the CFRE designation, and national and local professional development opportunities. Membership offers access to these resources, opportunities to connect with colleagues working in the profession, and many ways to grow and learn in the profession. Have you benefited from a relationship with AFP? Yes, I always learn something when I attend an AFP program, and enjoy seeing colleagues working in other nonprofit sectors. The AFP website and publications are also helpful in my work. I encourage people to join AFP, and have always supported and encouraged people to participate in their local AFP Chapter. It is a wonderful professional resource and a great way to connect with like-minded professionals working in the same or related areas. A member also has access to a national network of chapters and fundraisers. I grew up in Salt Lake City, Utah and started running in college, and have kept at it, with a few interruptions, ever since. I am a recreational runner and I've been running off and on for more than 20 years. I help save lives and serve as an advocate for people in recovery. My nine year career at Fairbanks and Hope Academy as the Director of Development & Alumni Relations has give me this privilege. My position allows me to be involved in every aspect of fundraising which I love. I get to work with incredible people who are dedicated to our mission - some are donors supporting our important work and some are alumni who've received our services. People in recovery are amazing, resilient, dedicated individuals! My career started when I graduated from college in 2001 and the wonderful folks at the IU Foundation gave me a job! Fundraising is not an easy profession - I'm in awe of the fundraising professionals who've been doing this important work for multiple decades. Indianapolis is fortunate to have a strong AFP chapter with board members who are thoughtful, creative and dedicated. The local chapter has provided me with numerous professional development opportunities including the chance to serve on the AFP-IC board. The education programming is informative and helps me stay current on the latest philanthropics trends. I've met wonderful people though AFP - each of them has helped me in some capacity thoughout my career. Yes! AFP is the international organization for professionals in fundraising. They support fundraising professionals and provide education. My membership helped me earn the CFRE and keep it current. What advice do you have for professionals considering AFP membership. Join! It is worth the investment in yourself and your career. Like anything, you get out of it what you put into it. I have twin 4 year old boys - they keep me very busy! I am incredibly lucky to work for an amazing organization, Partners in Housing, as their Director of Support Services and Advancement. The two parts of my title, Support Services and Advancement, are rarely seen together but fit together more than one would think. By overseeing the supportive service programs that we provide to our residents who have been chronically homeless before coming to Partners in Housing. I am able to share first hand, to our donors, volunteers, and advocates, how what they do to support our organization impacts our residents. Being able to work in both programs and fundraising, I get the best of both worlds; a unique perspective of both sides of the organization. I have been professionally fundraising for three years. However, I have worked in the nonprofit world for over 13 years, and as we know, every one that works for a nonprofit IS a fundraiser! I am involved with AFP-IC because it just makes sense! Being new to the fundraising field, I wanted to learn from the best and the brightest that are working in the philanthropic field and to expand my knowledge beyond books I read and trainings I attend. How have you benefited from a relationships in AFP or AFP-IC? From the monthly luncheons, to the peer networking and new friends I have made in the field that I can call on for questions or advice, to the much needed scholarships that I had been awarded to help with my continuing education with the Lilly Family School of Philanthropy, I have benefited from AFP-IC more than you could imagine. And that is just to name a few of the ways. I owe a lot of my knowledge to what I have learned from AFP-IC educational opportunities or form the members. What advice do you have for professionals considering AFP-IC? Stop considering and just do it! It is one of the best decisions I have made as a fundraising professional. Your membership in this amazing association will help you truly move you from being a fundraiser to being a fundraising professional and will hone your skills. I have been caffeine-free for 6 years and I don't miss it all. Tell us about your role and relationships to AFP-IC. 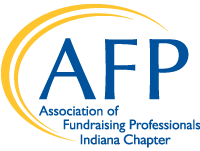 I joined AFP as I was new to the fundraising profession and thought it would be a great place to network and develop relationships with peers from whom I could learn best practices! I joined AFP in 1992. What is your favorite thing about being involved with AFP-IC? The best thing about my membership has been networking and learning from the vast network of members. Whenever I have had a question about capital campaigns, annual fund, corporate or foundation relations I have been able to reach out to other members and brainstrom a particular question or topic. I value dearly the friendships I have made over the years and appreciate the value of my membership! I would suggest that new members get involved with a committee of their choice as it is a great way to meet other colleagues and learn a lot about the organization. I used to believe to four country fan clubs so I could purchase concert tickets before they went on sale to the public. I even followed several (Rascal Flatts and Tim McGraw) to multiple venues during the season. Tell us about your role and relationship to AFP-IC. I am the chapter administrator for the chapter which means I manage the day to day operations of the chapter, provide support for the chapter's events and activities, and work with the board to acheive the goals they have set. I've been working with nonprofits for 27 years and specifically in association management for 20 years. I started an association management company 10 years ago and I've truly appreciated the opportunity to work with AFP-IC for nine years. The people. What I love about working with associations is that the members are drawn together for a common purpose. I've met and had the opportunity to work with so many amazing and inspiring AFP-IC members who volunteer their time, share their experiences, and support each other to advance the fundraising profession. Being a member of a professional association is a great way to expand your horizons both professionally and personally. AFP-IC provides educational and member opportunities to assist members in advancing your career and there is a great chance you'll meet mentors, colleagues you'll use as resources, and new friends. The opportunity is there, take advantage of it. As I tell would tell anyone who joins an association, you'll only get out of it what you put into it so be an engaged member. This is related to fundraising, I participated in one of the Leukemia Society's Team in Training programs which was to participate in the Honolulu Marathon. Walking 26.2 miles isn't so bad when you have Hawaii and the Pacific Ocean as the backdrop. I am currently Director of Development for the American Red Cross of Indiana. I have a blended portfolio consisting of individuals, corporations and foundations across the state, however the majority are in Central Indiana. I help manage our team of 10 gift officers and the 5 executive directors who also have a hand in fundraising. My career in fundraising has grown over the past 20 years, from when I started as an event planner for the 500 Fesitval, then graduated to a major gifts position with two different hospitals, to my current position where I am actively managing other fundraisers while maintaining my own portfolio. As the premier fundraising organization committed to growing, developing and supporting us as fundraising professionals, I feel that I have an obligation to be a member of AFP as well as support this organization financially with an annual gift. I have been a member of AFP for 10 years. I am currently on the Board of Directors and have had the privilege to serve on the Executive Committee as Secretary. How have you benefited from a relationship with AFP or AFP-IC? AFP monthly education luncheons are critical to helping me maintain my CFRE certification, provide fantastic networking opportunities with colleagues, of course staying current on fundraising trends and always honing in on day-to-day fundraising best practices. Join! You owe it to yourself, your profession and your career. It is an investment in you! There are so many ways to engage that will be right for you - from a manageable time commitment, to where you are in your career, you won't regret it. I co-captain a women's 3.5 USTA tennis team (we are going to the national play-offs this year - I know it! ), love perennial gardening and I can ride a unicycle. I've been a fundraising professional for the past 3 years. I started off working mainly in grant writing. While at College Mentors for Kids, I became really interested in the donor relations side of fundraising and also digital fundraising. I enjoy creating materials that make people feel good about their giving. Since my educational background is not in fundraising, I wanted a way to meet others in the field and learn more. AFP-IC has great programming, and I have discovered new ideas and tools that I can apply in my work. How have you benefited from a relationship in AFP or AFP-IC? Being a part of AFP has been wonderful! I am part of the mentor program and was paired with a great mentor who has helped guide me for the past year. I was able to attend the AFP Conference in Boston thanks in large part to a scholarship from the Indiana Chapter. It has been so helpful for me to have these opportunities so early in my career. I would recommend AFP-IC to any fundraising professional, especially those new to the field. It's a great way to keep up with fundraising trends and learn from others who have a passion for this work. I was in DC and was able to see President Obama's 2nd inauguration. I have the pleasure of leading and assisting INHP in programs and fundraising events such as our Living the Dream project days, the INHP Community Breakfast, Trivia Night, and Flamingo Flocking. Additionally, I lead the volunteer initiatives here at INHP. I am in a position in which I focus my efforts on converting volunteers to donors through building and stewarding relationships with volunteers as well as creating new ways for volunteers to continue to stay engaged and connected to INHP. I jumped into the world of fundraising during my time in the AmeriCorps VISTA program in 2012 and have been in fundraising ever since. I became involved with AFP-IC because philanthropy is changing and evolving, I wanted to be plugged into a group of incredibly talented people who I can learn from. In addition to the people, there is an abundance of resources available to those involved with AFP-IC and I wanted to have the exclusive access to these resources. In my short time with AFP-IC I have already had the opportunity to connect with so many others in the fundraising world. I look forward to what these connections will bring and the benefits that I will reap as a result of them. Go for it! AFP-IC is purposefully catered towards those in the fundraising world and the knowledge, resources and connections you will gain from AFP is so valuable. I attended Indiana University in Bloomington and am a big fan of all things IU and love cheering for the Hoosiers! Currently, I am a Major Gift Officer for the American Red Cross. I work out of Indianapolis for the Indiana Region covering the center part of the state from Terre Haute to Richmond and up I-65 with donors in Lafayette, as well as Jasper, Newton, LaPorte, and Lake Counties. My portfolio consists if individuals, corporations, and foundations. I started my first job in fundraising on August 1, 2006, hard to believe this year marks 10 years! Time flies when you're having fun! My first boss in fundraising, Cheri O'Neal, said the first thing I needed to do as a new fundraiser was join AFP and attend the IU Fund Raising School. It was the best advice I could have ever received and I am eternally grateful to her. My current position became available to me thanks to a relationship I built with a colleague through AFP-IC. If it wasn't for AFP, I would not be where I am today. I am now the Mentorship Chair, I love matching young professionals in fundraising to those with invaluable experience. It is rewarding to see the relationship grow. If you're looking for a mentor or want to share your experiences with a mentee, please let me know! What advice to you have for professionals considering AFP membership? As a professional, it is important to be involved in our profession's professional organization. The networking, continuing education opportunities, professionalizing the sector, the ethical standards...the benefits are priceless. I grew up around farming and have plucked chickens, drove tractors, raised rabbits, and was an excellent fish catcher back in the day. Given I am a city girl with a bachelor's degree in fashion merchandising, many people find my farming background a surprise. Tell us about your role in the fundraisng field. Some might say that spending over 30 years in one line of work is too long. How can you relish the same kind of work that long? Certainly those who don't enjoy their job but drag through each day justifying boredom or stress for the pay check they can't do without but years ago I was lucky to find philanthropy as an industry and fundraising as a profession. I have always received tremendous satisfaction from helping other people fulfill their altruistic goals, encouraging them to help others with their compassion and riches, and I truly enjoy asking people to give to something I believe in. At the time, I didn't know it but I fell into fundraising by accident. My Dad was in politics and raised money to support his political party. He encouraged me to apply to the United Way of America's management training program right out of college. In 1976, I learn the art and science of development work in Miami, FL and since then I have worked in six cities, eight positions, and several philanthropic fields (human service and education). it's been a wonderful ride filled with success and satisfaction. I joined ICNSFRE (forerunner to AFP-IC) 30 years ago and immediately met some of the most intelligent, creative, and fun people. Many of them have stayed close to me since. Early on I was elected to the Board, served on various committees, and held other positions in AFP. I have remained connected with AFP because I can learn or refresh ideas, gain best practices and techniques that keep me vigorous in the field. Through my AFP-IC involvement, I believe I meet others who seem happier than most people because of the mission they support. I benefit from my involvement with AFP for it allows me to meet new and younger colleagues and it provided a support network of people I can call on for advice. Because of my membership, I have met and then hired some of the best professionals we have in this field. I am proud of the experienced pros I have hired and the new people I have brought into the field. If you are staying in the field of philanthropy, no matter what level or what your job, you must join AFP. The networking it affords, the connections it affords, and the friendships you gain are just a few of its benefits. I really enjoy SCUBA diving, biking, history and archeology. I so enjoy my role as Vice President for Development at the Eiteljorg Museum of American Indians and Western Art -- what a wonderful and exciting place to be! It is such a pleasure to work with an incredible team of seven, and together, we are responsible for raising annual, capital and endowment funds for the museum. 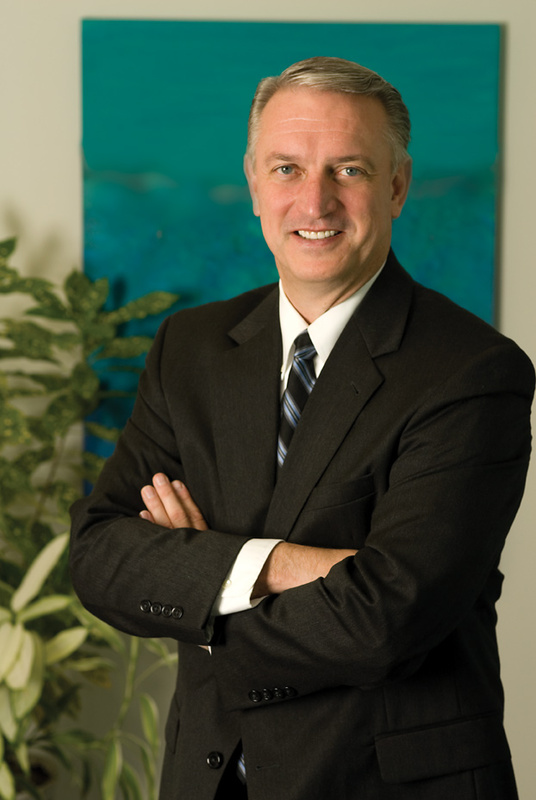 I feel especially fortunate to have our CEO and President, John Vanausdall, work completely in tandem with our team. It is rare to find a leader who understands the vital role he plays in the fundraising process and who embraces that role completely. If I could give one piece of advice to those who are entering the field of fundraising, it would be to look for a CEO just like mine! For many, many years!! I got my feet wet when I was co-chair of the Children's Museum Guild's Haunted House in 1983. My co-chair and I split the responsibilities for "running the house." She oversaw internal activities and I was in charge of external things, meaning fundraising, public relations, etc. I found that building relationships was one of my strong suits, and we raised a lot of money that year! Toward the end of the one-year chairmanship, a position became available in the development department of the museum - I was offered the position and the rest is history! I served as planned giving officer at the museum, then moved on to Park Tudor School where I served as Assistant Head of Development and Alumni Relations, then on to the Eiteljorg where I have been for 6 1/2 years. When I first became involved in the fundraising field, I knew that being a part of a professional organization that offered opportunities for education, training and mentoring was the right thing for me to do. Recently I received my 25-year pin from AFP-IC, but if memory serves me correctly, I joined the group in 1983. What I expected (i.e., education, training and mentoring) has happened over and over again through the years. I've found that you can never gain enough knowledge about our great profession... just when you think you've mastered all the aspects, something new presents itself. The board and all of its committees continue to offer great programs that are pertinent to my needs. I love to learn from those who have been in the field for a much shorter period than I and I continue to relish the knowledge shared by my fellow "old-timers." I'm involved because I never want to stop learning! Oh my gosh... Marge Tarplee, Betty Stilwell, Marilyn Burger, Duke Haddad, Jim Graham, Sally Zelonis, Gene Tempel, Bobbie Donahue, Pat Szuch, Linda Brimmer, Andy Marshall, Tim Seiler, Sally McGuffey, Joyce Summers.... and so many I've left off this list. These colleagues, mentors and wonderful friends are great examples of why I've loved my association with AFP. Together we've served on the board, been a part of panel discussions, served on committees and I have been a lucky beneficiary of their wisdom and leadership. What advice would you have for professionals considering AFP membership? By all means, join!! If your organizations cannot afford to pay for you, look in to the scholarships that AFP offers. If you are undecided about whether you should join, call me at 317-275-1311. Trust me... it's the best investment you will make in your professional career!! I was in 6 Crest toothpaste commercials when I was in Junior High! I grew up in Bloomington, IN, and was lucky enough to be a part of the Proctor and Gamble/Crest toothpaste laboratory era. I was filmed (showing my shiny white teeth!) on the IU campus and even spoke French while making a commercial in Montreal, Canada! Great memories!! For the past three years, I've worked as the Director of Development for Stone Belt Arc. My responsibilities include all facets of a development program. I am involved in prospect identification and cultivation, annual campaign, major gifts, stewardship and planned giving, to name just a few areas! I truly believe we create a stronger community when we recognize and celebrate the uniqueness and worth of all of our citizens. For the past five years, I've taught Fund Development for Nonprofit Organizations through Indiana University's School of Public and Environmental Affairs in Bloomington. I love sharing my excitement and joy for fund development with my students. And I love that they will help strengthen the sector as they become nonprofit professionals - whether as fundraisers or in some other role. How long have you been in the fundraising role? My first official development position began in 2008 with United Way of Monroe County. Before earning my MPA, I filled volunteer development roles for small nonprofits without staff development professionals. And even earlier, before graduating from high school, I was involved in fundraising for numerous local organizations. I love learning. AFP-IC constantly provides opportunities for me to improve professionally through educational programs. I also feel it's important to note that the networking opportunities are also very valuable. Attending seminars, lectures, and webinars are excellent, but I find I'm able to really synthesize new information after discussing new strategies/ideas with other development professionals. Truly the educational opportunities through AFP and AFP-IC have helped me be a better development professional. I often visit the AFP online Resource Center and take advantage of the Ethics & Professional Development areas as well. When I have a quick question, I know I can touch base with one of the many people I've met through AFP-IC for a thoughtful and helpful answer. What advice to do you have for professionals considering AFP membership? There's always new, creative information. Join. Professionally, it will make a difference. I lived and went to school in Zaire (now the Democratic Republic of the Congo) for 7th, 8th, and 9th grades. For the past three years, I have served as a Major Gifts Officer for the St. Vincent Foundation. In that role, I am responsible for face to face meetings with individuals who have the capability to make major gifts, usually larger than annual gifts, to the Foundation. My favorite part of this job is meeting the most amazing, generous and caring people. Another fun piece at St. Vincent is being part of the Peyton Manning Children's Hospital. Peyton is still active with the patients and helping the foundation by interacting with donors and prospects. We're crazy about him! My official development career started in 1996 as the Director of Development at the Indianapolis Civic Theatre (now the Booth Tarkington Civic Theatre). As a mom, I'd raised money for years through my kids PTOs and the Junior League so to get paid for something I'd enjoyed all through life was a dream come true. At Civic, I loved sharing the magic of theatre with the community. My development career was launched there and I learned so much. After eight years there, I moved to the Riley Children's Foundation as a major gift officer for nine years and then on to the St. Vincent Foundation where I continue my education. The first thing a mentor told me when I got started at Civic was to join NSFRE (now AFP) so I did. I attended every lunch and Fundraising Day I could and learned from every one. I'm still learning! I also enjoy meeting and hearing from other fundraisers about what they are doing in their organizations. I think it is important for the development profession that we support our professional organization. And it's fun! When I started at Civic, I didn't have a clue where to start. Like I said earlier, I attended every lunch and fundraising class I could. My learning curve went straight up. After learning the basic fundraising tools, I started applying them to Civic Theatre. With the help of so many others, I became a 'fundraising professional'. Join AFP. You'll be glad you did. I love to canoe. We make sure to have at least one White River outing every summer. Years ago, I did white water rafting in West Virginia but these days, I stick to water a bit more calm. As the Executive Director of the Youth Opportunity Center Foundation, my role is to raise awareness and build support for the mission and priorities of the Youth Opportunity Center (YOC). The YOC serves and provides hope to Indiana's youth that need outpatient and residential treatment to address significant mental and behavioral challenges. My role is to lead board members, volunteers and staff in development activities that build lasting relationships that will ultimately result in increased funding for programming, capacity building, and strategic initiatives that will enhance YOC treatment programs. I have been involved in the non-profit sector for the past 22 years and in fundraising for six of those years. I was hired as the Executive Director of the Youth Opportunity Center Foundation in January of 2009; after working as a program staff and senior level administrator of the Youth Opportunity Center since 1992. My initial experience with fundraising dated back to my teenage years when I volunteered with my parents at fundraising events for the Delaware County Children's Home, now known as the Youth Opportunity Center, Inc. I am a member of AFP-IC because I believe it is important to constantly develop as a professional within our industry. AFP-IC provides excellent speakers with extensive knowledge and expertise in not-for-profits in all aspects that support our work. I have benefited from AFP in various ways but the networking and opportunities for professional development have been outstanding. For example, I was recently granted the CFRE designation after participating in an AFP member led study group. This study group provided the professional expertise and emotional support to prepare and successfully pass this examination. I am truly grateful for this opportunity provided by AFP. AFP membership is a great investment in YOU. Join AFP and you will grow professionally, develop new skills, and raise more money for your cause. As a kid I loved to make mud pies with my brothers. Since I can't really make mud pies in the neighborhood anymore, I have resorted to throwing clay on a pottery-wheel. Getting your hands dirty is still lots of fun. Currently I serve as a major gifts officer at the Indianapolis Zoo. I have held this position since 2007 and just love being here at the Zoo. I work with the best fundraising staff! I am passionate about animal conservation and feel privileged to work for an organization that I can share this with. What I enjoy most is working with donors and prospective donors sharing my knowledge and the Zoo's work. When families and young people are involved... even better! There is so much to learn and so many ways we can make a difference in helping to save animals in the wild. Does it count when you sell Girl Scout cookies for years and years? Does it count when you "trick-or-treat" for UNICEF for many years? What I am trying to say is that I have been fundraising and surrounded by a family that volunteered and supported charities for many decades! Officially my first paid position as a fundraiser was in 1993 when I became director of development for a mental health center in Rhode Island. There were many volunteer roles along the way that included political fundraising, as well as being a volunteer fundraiser for my husband and his non-profit work. This included organizing and baking for teas for a couple of years at the historic house museum where we lived and he was in charge! Did I mention that I also was a teacher for twelve years (what teacher doesn't fundraise?) and also did major grant writing, public relations and contract negotiations for a municipality when I lived in Rhode Island. Many years ago when I lived and worked in Rhode Island, I was an active member of the NSFRE (later changed its name to AFP) chapter there. Networking, workshops and trainings keep me up to date on what is happening in the fundraising world. I have been privileged to be mentored by a number of great fundraisers. Professional development is very important to me and has helped me so much along the way. I enjoy sharing my fundraising experience with others, in particular those new to the field or working in a small shop. My relationship with AFP and AFP-IC has allowed me to meet some incredible people and friends. Networking with others, sharing problems and solutions and learning new things has helped me with my professional development. I have been on the board of AFP-IC, helped with setting up the brown bag series, and volunteered at many AFP activities. It was a great way to get introduced to the Indianapolis fundraising community seventeen years ago. Join - best investment you will make! I donated a kidney to my brother in 2005 - "the gift of life" - greatest gift I will ever give! I am blessed to play multiple roles in the field of fundraising. As Executive Director of Development for The Salvation Army Indiana Division (AFP-IC 2013 Civic Organization of the Year) I serve as practitioner in a wonderful organization that makes a difference for others every day. I also work as Senior Fundraising Consultant with G.J. Mongon & Associates. In this stimulating and rewarding role I work with a wide variety of charities. I am also a writer and create a weekly blog for Fundraising Success Magazine in Philadelphia, PA. In just the last two years I have written 72 blogs for FRS on a variety of topics, but I have been writing nationally published articles since 1979. My first exposure to fundraising was in the Governors' Mansion in West Virginia while a member of Beta Theta Pi Fraternity in 1972. I began my first paid fundraising position at the University of Louisville on February 16, 1976, and I have not looked back. On August 24, 1982 I began my first fundraising position in Indiana at Butler University. I remember the dates because I cherish each stage of my fundraising career. I care deeply about having a career that helps others. I strive to be a mentor and servant leader in our profession. I have benefited so much from this chapter and profession, and I strive every day to help others while promoting philanthropy in our society. I have been a proud member of AFP since 1982. As former chapter president and board member, I have met many great peers and colleagues doing great work. As a senior professional, I firmly believe I have a responsibility to continue to help the chapter in any way possible. It has been a blessing to work in such a philanthropically minded state! Where to do I start? I have benefited from networking, lunch speakers, best of class discussions, teaching and learning from others and growing in the profession through an outstanding vehicle. I have had my CFRE for almost 25 years and love the continuing education opportunities. I am always learning, and AFP gies me a great vehicle to stay involved. I contact the AFP resource center frequently with questions concerning the stimulating and ever-changing subjects affecting our profession. My member number stays with me! There is an old saying: You get out what you put into something. That said, fundraising professionals always get involved. I cherish my membership badge of 32 years. It is a mandatory investment that pays dividends in a variety of ways. After you join, get others to follow and stay involved throughout your career. As your career grows and evolves, you will look at AFP membership in a variety of positive ways. I have coached boys' baseball teams for four decades. In fact, just finished coaching my grandson's 8U baseball travel team (50 games!). Like many of my colleagues within the nonprofit world, I see my role as a relationship builder. My job is to passionately share the impact our organization can make in a child's life and to gain a person's trust so that they become a lifelong supporter of our cause. As part of the Kiwanis International Foundation team, I develop strategies and implement tactics for our Children's Fund that will successfully increase philanthropic support from various constituencies within and outside of the Kiwanis family. My job is to share just how the Kiwanis International Foundation can make an impact in the life of children in your community or around the world. My first fundraising gig was many years ago selling popcorn to raise money for my Cub Scout troup, but I have been involved with nonprofits since graduating from Ball State in 1999. The Kiwanis International Foundation is the first place I can hang my hat and say I'm an official fundaiser. Why not be involved in AFP-IC? No matter what path one chooses to travel down, a person should always find ways to better themselves in their profession. Educational and professional resources. Leadership events and opportunities to lead. Friends that are part of the nonprofit industry that share the same passion as you. These are just a few key reasons why I am part of the Association of Fundraising Professionals. I have learned that there are many ways you and your organization can benefit from being part of AFP. Whether it is a simple fact or a new concept picked up at a brown bag luncheon. A new fundraising colleague you meet at one of the speaker series that is having the same struggles as you. New trends or concepts are presented at one of the conventions you can take back to your team and increase your nonprofit's annual giving. Or simply a few good laughs with friends after a long week. There are so many benefits of all sizes. Stop contemplating membership. Stop making excuses. Join your fundraising family. This year marks my fourth year that I have been involved with triathlons. I have a new position with the Indiana University Foundation in which I am transitioning from the Vice President of Development, Regional Campuses position to the Vice President of Development for the IU Bloomington campus. I am ecstatic about this opportunity and will be working with the academic units and programs in Bloomington on their fundraising programs and initiatives. I have just completed 20 years in fundraising with Indiana University. I might mention that it doesn't seem as though I have been there 20 years, and longevity pays off as long as it doesn't feel like work and you feel you are still making a tremendous impact and difference! I have been involved in the nonprofit sector for the past 29 years and in fundraising for 24 of those years. My career began in public relations at Sigma Kappa Sorority after graduating from the University of Arizona and like many others, transitioned into fundraising in the early days before master's or bachelor's degrees in philanthropic studies existed, or even the Lilly Family School of Philanthropy. I am involved in AFP-IC because I think it is important to be involved in our professional association. As a more "seasoned" member I believe it is important to attend meetings as my schedule allows, and it is my responsibility to serve as a role model for others. I learn as much from the younger members about their challenges and experiences as they do from mine. All my mentors along the way have been members of AFP: Gene Tempel, Dwight Burlingame and Tim Seiler. I am sure there are others but those come to mind. There are so many relationships I have benefited from over the years with my membership in AFP. I have had opportunities to serve on the international board of directors, in chapter leadership positions and on committees. My passion for the last 14 years has been coordinating the study groups for the CFRE examination and serving as a coach and mentor for those who participate. And really, I am not that old! My professional and personal growth and development is shaped in part, by others who serve this important sector and make a difference for countless others in our communities. Sometimes, its easy to lose sight of the impact our work makes but if you have a few good stories to recall when you lose sight that will help get you through the tough times! Nike, Just do it! Or as Jenny yelled in Forrest Gump, "Run, Forrest, Run." Toward AFP. Isn't your career worth 93 cents a day? After a 27 year absence from the classroom I am now working on a master's degree in philanthropic studies at the Lilly Family School of Philanthropy. I plan to graduate in May 2015 and by reporting this via the newsletter I am now accountable to 300+ AFP-IC members. Best. Decision. Ever. I serve as Foundation Director for two St. Vincent Health Ministries: St. Vincent Dunn Hospital Foundation in Bedford, and St. Vincent Jennings in North Vernon. I have been involved in fundraising on some level for 18 years. My work with the Hospital Foundations spans 13 years. I feel so blessed to see people fulfilling their philanthropic interests and giving their time, talents and resources to benefit our communities. When I began work with the Hospital Foundation, I was immersed quickly in all aspects of fundraising. AFP became my training ground. As a one-person shop, I continue to benefit from educational opportunities and a great network of peers and friends. I have benefited in a number of ways. AFP members have been and continue to be a great resource and inspiration for me. Several of our new fundraising programs are a direct result of education I received through AFP. For example our leadership giving program, The Circle of Hope, was inspired by a major gift workshop that I attended. In addition, fundraising looks different in many ways that it did thirteen years ago. AFP helps me stay current with the news, trends and changes in the field. Come and be a part! You'll quickly connect with other professionals who are facing the same challenges and are willing to share ideas with you. AFP has an extensive array of educational resources available to you. Creating something new recharges my batteries, whether I'm redesigning a space in our home or creating new pathways for the engagement of donors in the work of the Foundation for our Hospitals. As the Corporate Relations Officer at Starfish Initiative, my role is to lead the corporate and community outreach development efforts to insure that Starfish develops relationships to support mentor recruitment, financial support, and workplace experiences for Starfish high school and college scholars. My goal is to build excitement and awareness around the organization by sharing the positive results and impact of mentoring. This is my very first "formal" fundraising position. My background is in training, sales, and education, so this opportunity is a new challenge to blend all of my experiences in a new and exciting way. I am a learner and I knew this would be an opportunity for me to network with professionals and gain knowledge, insights and advice. Upon receiving the job offer, I ordered and eagerly read over 10 books on development. This was incredibly helpful, but connecting with real people and hearing their experiences has brought the most value. I have read several articles on AFP that have been particularly helpful. The AFP-IC brown bag lunches have been especially eye opening and to a certain extent comforting. I found the hurdles faced in fundraising are not solely limited to my organization. There was a great sense of relief knowing I was not alone and that AFP-IC could provide me the support to learn how to overcome some of these obstacles in a safe and open environment. Definitely join. There is nothing like being affiliated with like-minded individuals who share an understanding of fundraising. Iron sharpens iron. The experience of the members will definitely bring value to my professional development and organizational impact. Tell us a fund or random fact about you. I am allergic to flowers (trees, grass), but I absolutely love planting them and working outside. Planting bulbs and waiting for them to bloom is the absolute best! I guess in a way it is similar to fundraising - though we are out there planting seeds about our missions every day, sometimes we have to wait a season to recap the beauty of our hard labor. Expecting greatness. Counting down the days until spring! Strategist, trusted adviser, mentor, guide, cheerleader, coach, partner. They're all part of the role of a consultant,or this one at least! Boyle & Associates first helps clients to anticipate the road ahead, then develops alternative strategies when needed, forges a strong team of volunteer and staff leaders, and keeps the campaign or program on track toward its goal. When I joined the development staff of the Indianapolis Museum of Art in 1976, I was very fortunate that the DCO had established a solid program there, and a capital campaign was just winding down. It was a great learning opportunity that led to my recruitment to be DOD at the Indianapolis Symphony Orchestra. Like a handful of others can claim, this is my baby! I have been involved with our chapter since its inception, and I was president in the early 1980s. The chapter's growth and maturation has been impressive. To remain involved is much more than duty; it's about pride of association and the opportunity to keep learning. And, it's rewarding to give back by chairing or working on committees, mentoring new fundraising professionals, and just informally responding to requests for advice. More than I can count. Our chapter members are so generous with advice, service to their chosen profession and to their communities. I served on the faculty of the "first course" at the AFP (then NSFRE) national conference, with the president of Ketchum, Inc, then a large, prestigious consultancy. I was embolded a year later to call him and ask if the firm might need someone with my background. Ketchum's in-house training program and the experience of working with a diverse cleint base gave me a solid foundation for establishing my own consultancy years later. AFP is a respected professional association offering educational programs tailored to all experience levels. Taking advantage of those programs will help you to maintain a competitive edge throughout your career. I am the Director of Advancement for The Oaks Academy in Indianapolis. I lead a team of 4 incredible professionals that raise funds to operate and grow The Oaks Academy, two independent, Pre-K to 8 schools that purposefully mix all races and social classes. I got the fundraising bug selling boy scout popcorn too long ago, then did more in high school and college before realizing you could make a living making philanthropic dreams come true! I've been a professional fundraiser for 8 years now. I believe wholly in constant professional development. Our field is always changing and it's our responsibility to our donors and our causes to stay current on issues. Also, in today's internet age, you can find 'information' on any topic, any webinar, etc. usually for free - but you can easily be duped. AFP programs, speakers and offerings are of the highest quality - worth 10x the membership investment! Have you benefited from a relationship in AFP? The networking, camaraderie and collegial relationships I've developed through AFP are unmatched. I've been mentored and have mentored others. I have a strong group of peers that would do anything to see me and my organization thrive in this important work - and I would do the same for them. The support is incredible. When I made a job transition, I literally emailed 20 of my closest colleagues (17 of which were AFP members) and I immediately had interviews, coffees and job offers. Advice for those considering membership. It's the best investment you'll ever make. You're investing in your own development, expertise and network - and the tips, skills and strategies you learn will multiply the funds you raise and the impact you have exponentially. I'm fascinated by Bigfoot. Our furry friend is out there.